Arjen Robben busts out the Side Step when he’s locked in a 1 v 1 situation and doesn’t have space to run, shoot or pass with the ball. 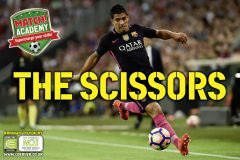 It helps create space to the left or right of opponents that are in front of him! BUST OUT IN ATTACKING AREAS! This feint move is great to use as you head towards goals to create space to shoot, or in wide areas if you’re looking to create space to cross. 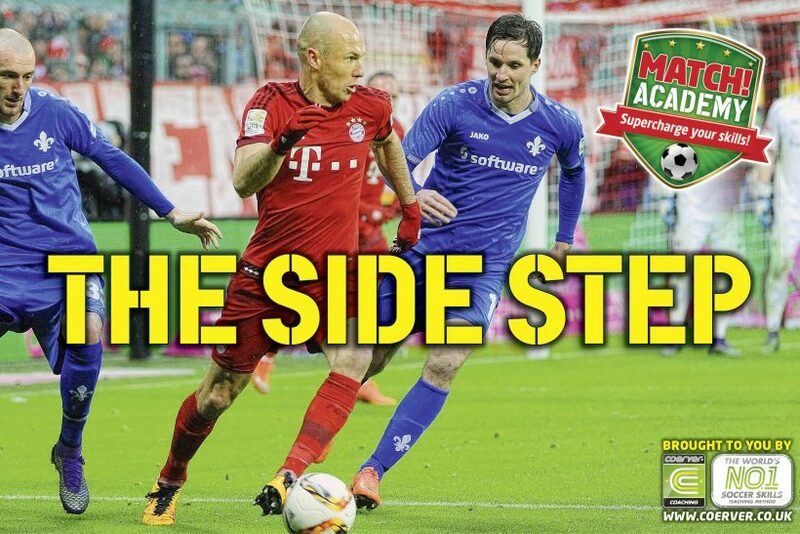 The Bayern man loves accelerating away after performing the Side Step for maximum impact! Practise yourself below! Pull the ball back with the sole of your right foot, then push the ball forward diagonally with the outside of the same foot. Now pull the ball back with the sole of your left foot, then push the ball forward diagonally with the same foot. Repeat the movements above. Start slow, then gradually speed up! Stay behind the ball and step to one side quickly – as if you’re using a skating motion. After your weight has transferred to that side, hop with your landing foot to propel yourself in the other direction. Use the outside of your foot in the direction you’re now heading to take a touch on the ball and accelerate away! Stay behind the ball and step to one side quickly, then do the same with the other foot – again think of a skating action. Keep your head up before making this move to determine the timing of your opponent’s challenge. Use the outside of the foot you did the first Side Step with to take a touch on the ball, then burn away from your man! THE STEP-ON & HIGH WAVE!